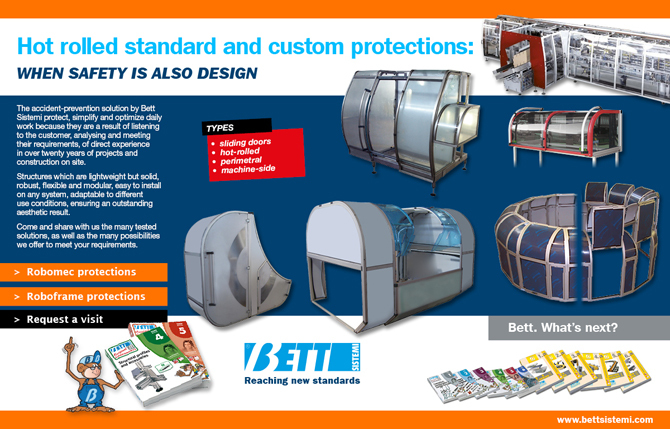 The accident-prevention solution by Bett Sistemi protect, simplify and optimize daily work because they are a result of listening to the customer, analysing and meeting their requirements, of direct experience in over twenty years of projects and construction on site. Structures which are lightweight but solid, robust, flexible and modular, easy to install on any system, adaptable to different use conditions, ensuring an outstanding aesthetic result. Come and share with us the many tested solutions, as well as the many possibilities we offer to meet your requirements.